Come out sportfishing in South Florida with one of the best and friendliest crews anywhere in Florida! Located in Pompano Beach, we are minutes from other South Florida locations including Fort Lauderdale, Miami, Boca Raton and Deerfield Beach. 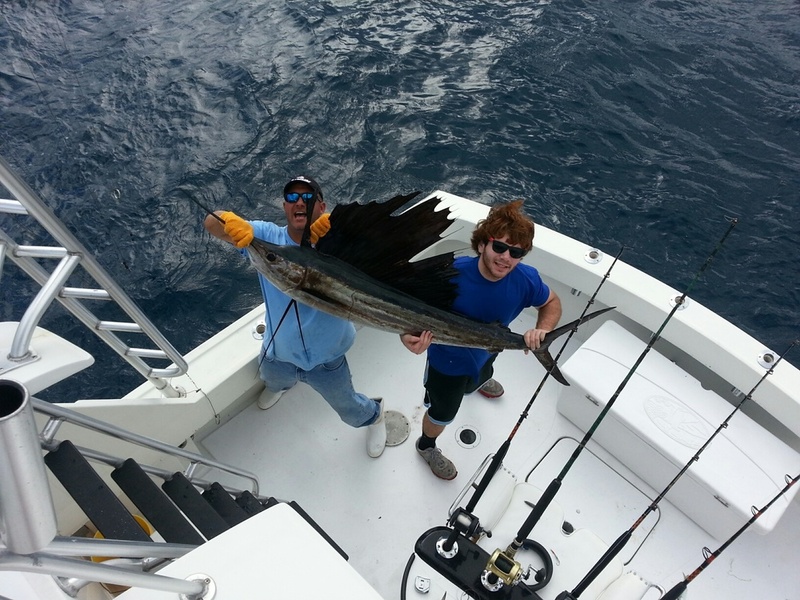 We offer a variety of Ft Lauderdale fishing charter trips to suit your time frame. Our standard trip is a half day which can be in the morning or the afternoon but we also offer all-day trips or 3/4 day fishing trips. Depends on what kind of charter fishing you want to do! South Florida has the closest big-game fishing anywhere in the United States. The Gulf Stream is right offshore, only a five minute run from Fort Lauderdale. Our sailfish are caught in sight of the beach. We have fishing charters for; sailfish, mahi-mahi, tuna, king mackerel, wahoo, grouper, giant sharks, barracuda, snapper, and many more species as well! If you have a preference let us know. "Whatever it takes!" is our motto. No fishing request will be ignored. Live Bait-Kite Fishing, Sailfishing, Trolling, Wreck Fishing, Dead Bait-Trolling, Shark Fishing, Bottom Fishing, we do it all! Your party can be from 1-6 people. We are the local Florida charter fishing boat for Boca Raton, Deerfield Beach, Delray Beach, Lighthouse Point, Boynton Beach, and any points west. We are also a very short drive from Fort Lauderdale.